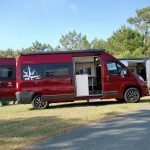 Fiat Ducato 2.3l 130hp Multijet Euro 6. With Belted traveling seats for up to four people. 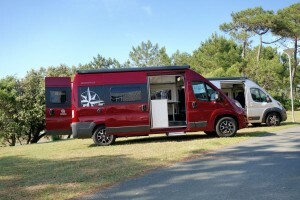 The Westfalia Columbus Motorhome is known for offering a fixed transverse full size double bed at the rear, this allows a large storage garage below the bed. The complete bed unit has an innovative folding and sliding system, enabling storage and transportation of larger items such as Bicycles within the rear of the vehicle should it be required. Being a Westfalia you get all the refinements you would expect with a brand of this stature meaning you really can travel wherever you want with the creature comforts of home. The Columbus range really does offer the very best that is available on the market from the flush finished double glazed windows, to their Eberspacher diesel heating system and their independently heated and temperature controlled bathroom. Offering the option of a unique front folding bed integrated onto the back of the rear bench seat maximising the use of space while still offering real comfort for whoever sleeps on it. 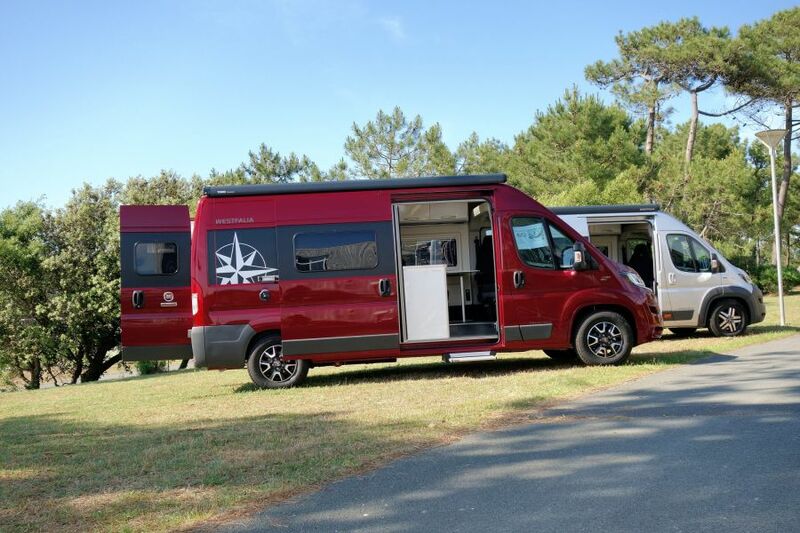 Wherever you look in this motorhome you will be impressed with both the functionality and design as well as the quality of finish. This is the benchmark that all other manufacturers aspire to and when you see it for yourself you will understand why. Under floor Alde Wet heating system including heated Shower tray. +All options from the 2018 Westfalia options Price list.